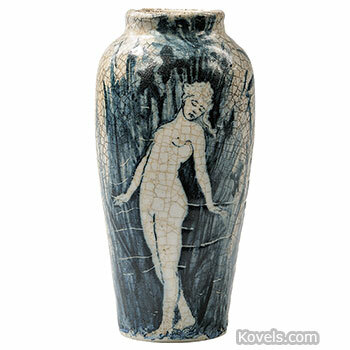 Dedham Pottery was started in 1895. 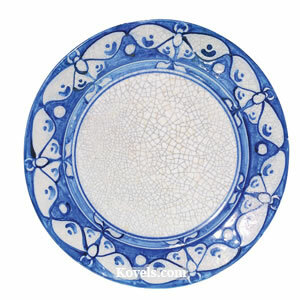 Chelsea Keramic Art Works was established in 1872 in Chelsea, Massachusetts, by members of the Robertson family. 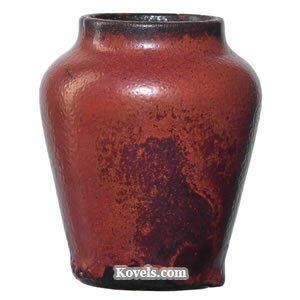 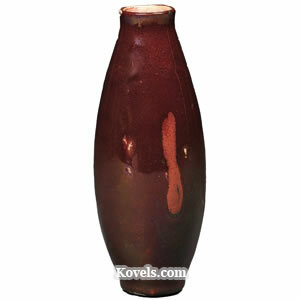 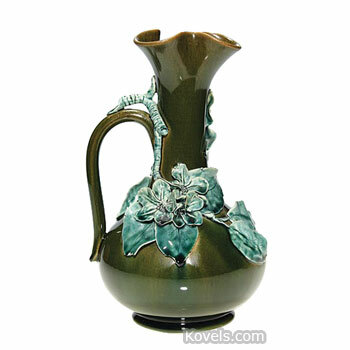 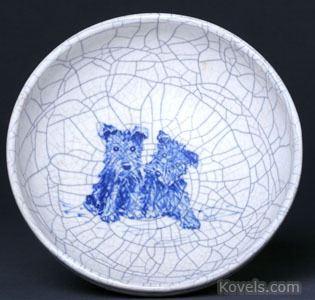 The factory closed in 1889 and was reorganized as the Chelsea Pottery U.S. in 1891. 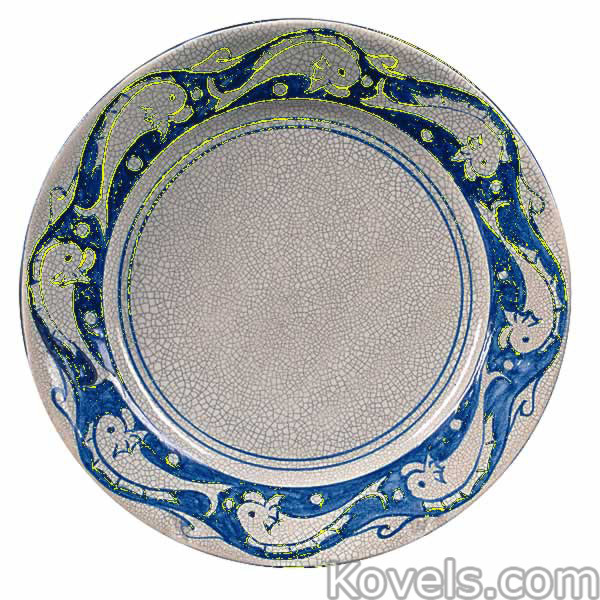 The firm used the marks CKAW and CPUS (1891 to 1895). 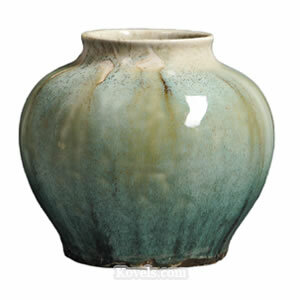 It became the Dedham Pottery of Dedham, Massachusetts. 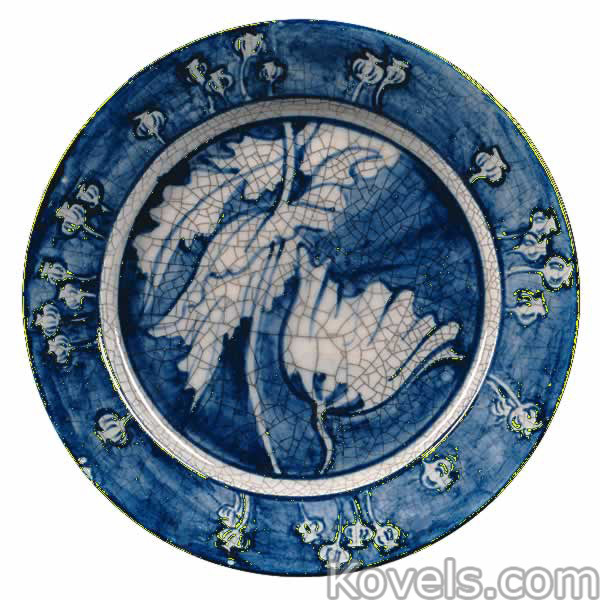 The factory closed in 1943. 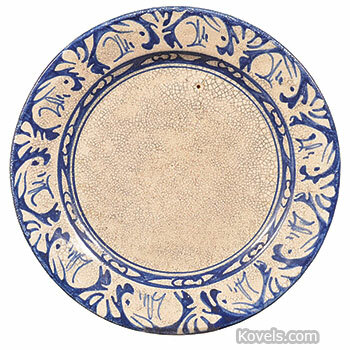 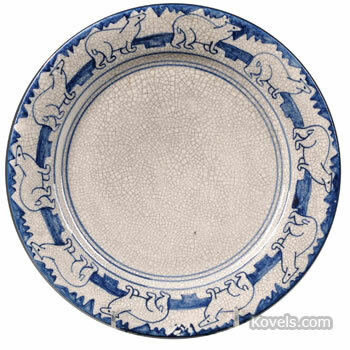 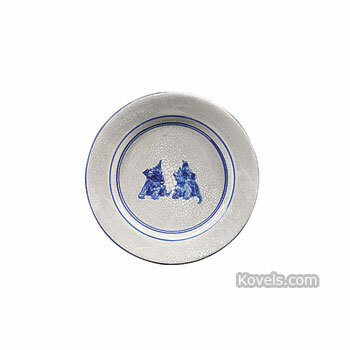 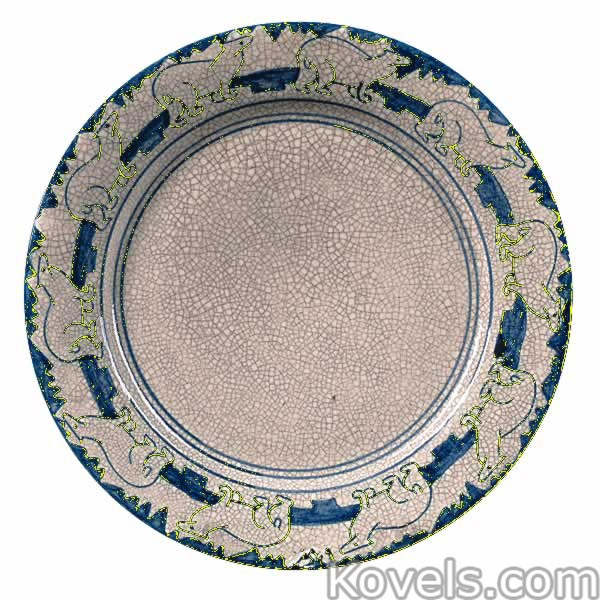 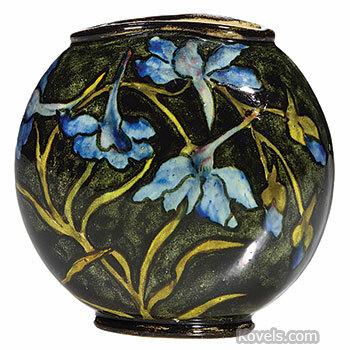 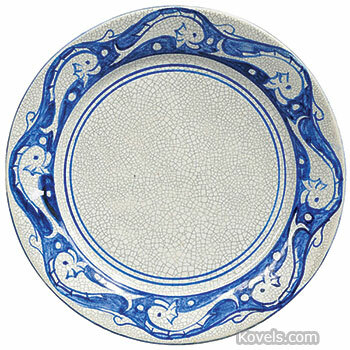 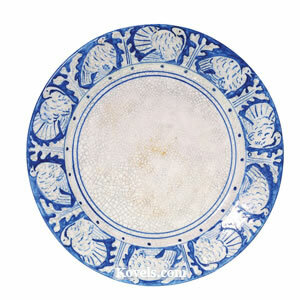 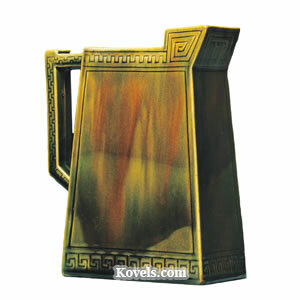 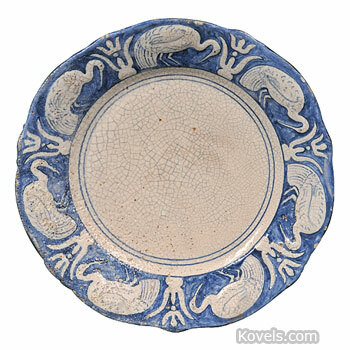 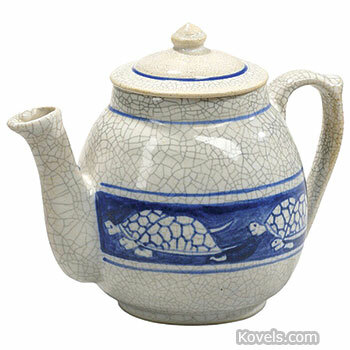 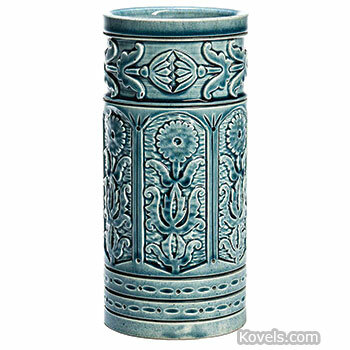 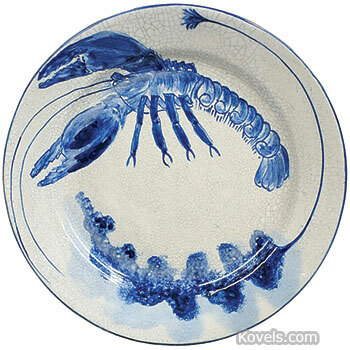 It was famous for its crackleware dishes, which picture blue outlines of animals, flowers, and other natural motifs. 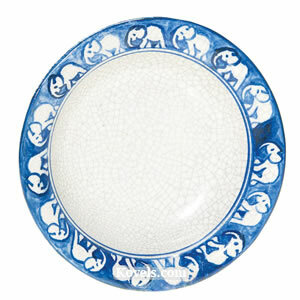 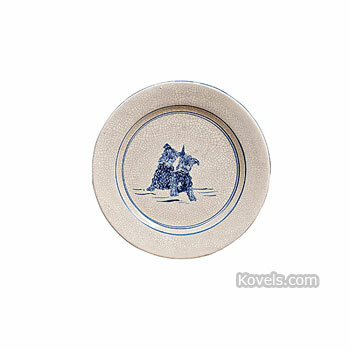 Full sets of crackleware dishes had hand-painted border designs of animals and plants. 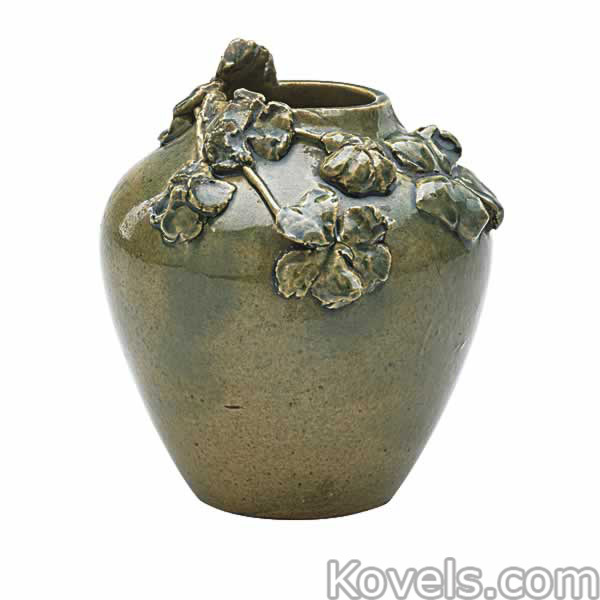 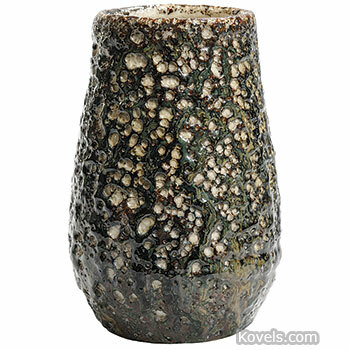 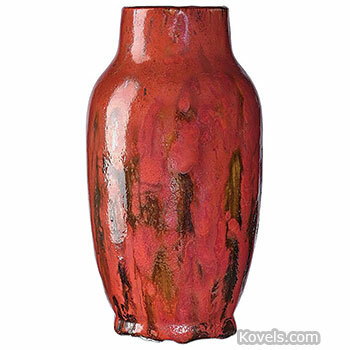 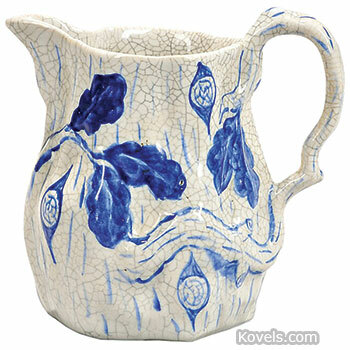 Pottery by Chelsea Keramic Art Works and Dedham Pottery are listed here.